Donut Drawing may very well turn in to your most exciting game after you play! It’s an awesomely fun, fairly messy, and incredibly hilarious way to engage your group. Donut Drawing is much like it sounds. The basic gist of the game will require teams to take the creme or jelly filling and draw simple pictures (suggestions listed below). 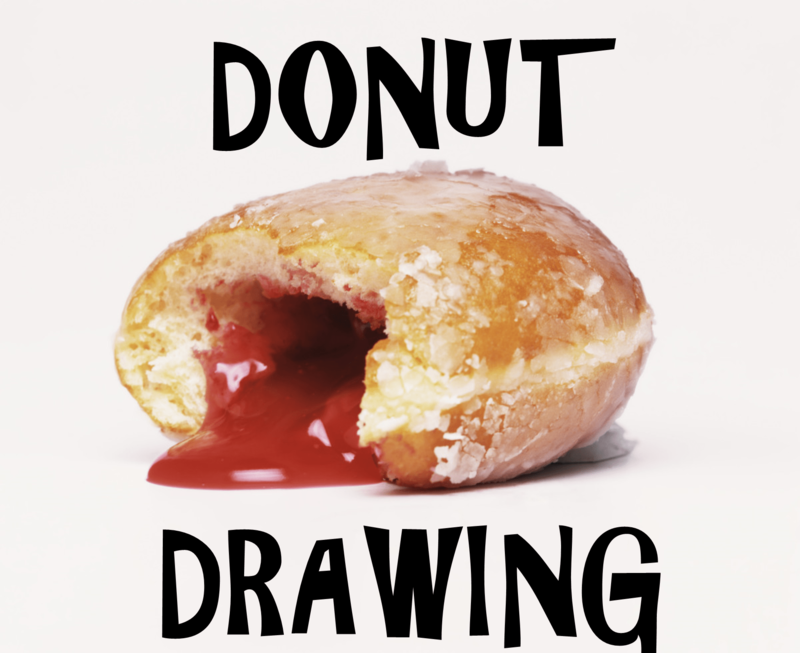 That’s right, they bust open a donut, dive into it and start drawing! If the team guesses correctly, they are awarded one point. Each team will have two 60-second rounds to draw, with a final lightning round being two minutes. During the last round, they will be able to guess as many as possible. You will need to wipe down the whiteboard after each round. Just spray a little cleaner on and wipe it down with some paper towels. Whichever team has the highest total after the three rounds is the winner! In the event of a tie, have each team select someone to draw. Whoever guesses the item first is the winner. 1. Award donuts (or donut holes) to the winning team! 2. Have multiple colors of filling or jellies that they can use during the last round just to mix it up. 3. If you buy donuts from a shop, you can ask to purchase extra filling, which may help with the process of drawing. 4. Lay down plastic and have garbage cans nearby to make clean up easier.